Performance CBS is Carpet & Rug Institute (CRI) certified as a premium carpet preconditioner. Experience the absolute power of cleaning. 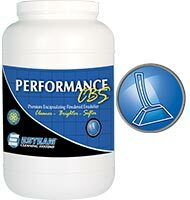 Performance CBS is a residue free powdered emulsifier that leaves carpets Cleaner, Brighter and Softer. Using the latest and most advanced encapsulating technology, Performance CBS incorporates a unique blend of high tech solvents, advanced wetting agents and naturally occurring brighteners. This product delivers amazing cleaning results in both residential and commercial applications. Fibre Rinse is a specially developed rinsing solution designed to be used in the final step of wet cleaning. 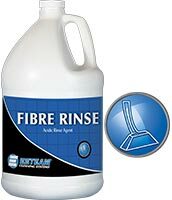 Fibre Rinse neutralizes alkalinity and removes detergent residues, leaving fibres clean and soft.